To beat the January blues a couple of the girls and I decided we would glam it up a little and embark on a ladies day adventure….. We wanted something localish and not too expensive as we are all suffering from the empty pocket syndrome after Christmas festivities! 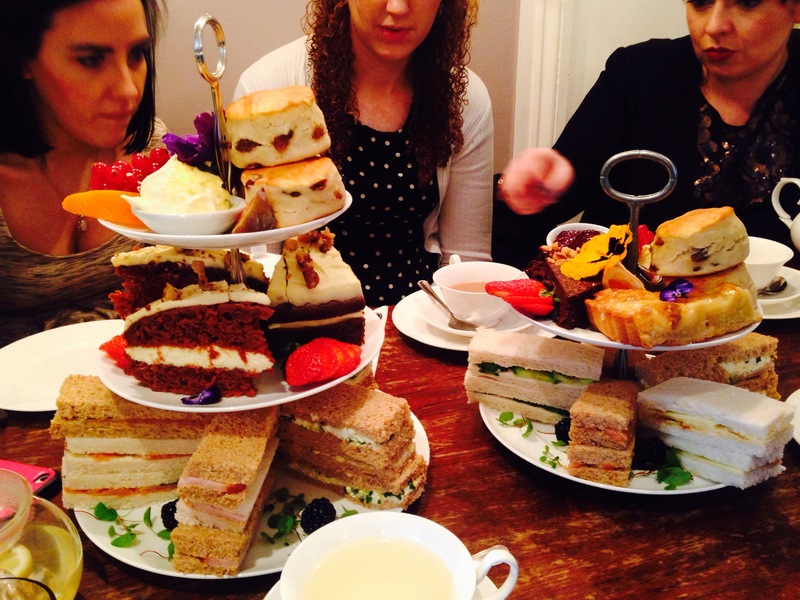 Sometimes these afternoon tea experiences are over priced with tinee sandwiches and overrated cakes! 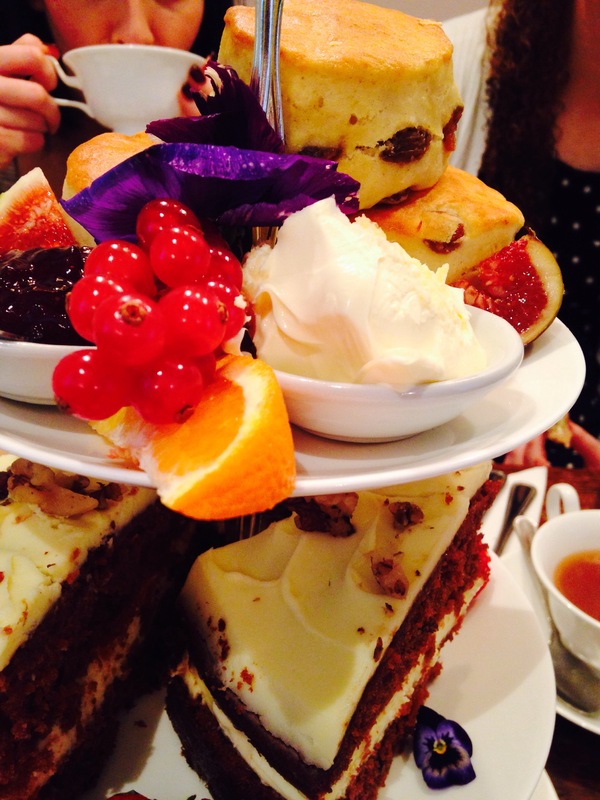 Orange Pekoe was a lovely find and for only £19.95 per person we were spoilt rotten with with choice. -A delicate assortment of freshly cut finger sandwiches. -One plain or sultana warm scone, served with Cornish clotted cream and strawberry preserve. -A slice of cake of your choice from the cake counter. 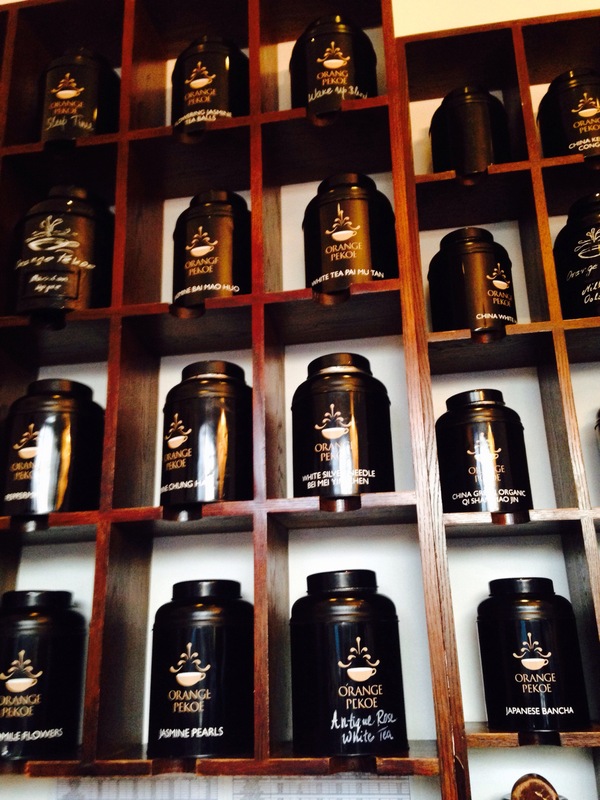 -A pot of tea or cup of coffee of your choice. We had the slot for 2 hours and in that time we were able to enjoy the selection of food put in front of us! 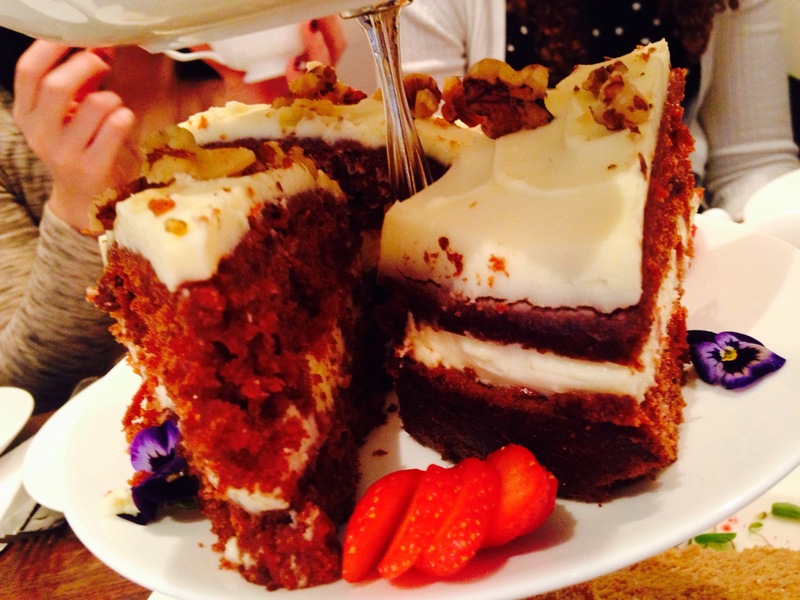 I opted for the Carrot Cake on cake selection and it was so yummy and fluffy! I must admit I was pretty full half way through however I was determined to eat every last bite on my carbohydrate overload day! From the sandwich selection I was intrigued by the cucumber and mint selection, something different for me anyway! It was super yummy but then again everything was! It is located on the Main Street, with the nearest station being Barnes Bridge, however if you are silly goosing like me, then you’ll be walking about 15 mins from Barnes station which to be fair was nice and refreshing however I had planned on being lazy that day! I would recommend to those who live around west and south west (from Earlsfield, usually should take only 25 mins to get there) to try it out if you feel like a little treat or if you have visitors around, rather than trapsing in central for an overpriced version!